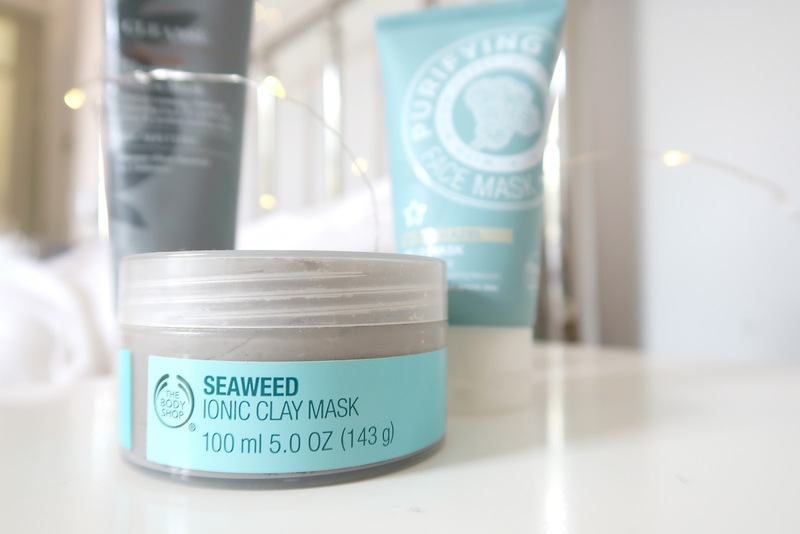 First up is the Body Shop’s Ionic Clay Mask (which seems to have been rebranded recently; it is now called the Seaweed Oil-Balancing Clay Mask.) It’s only £11 for quite a reasonably sized pot and it boasts a five-star rating on the Body Shop website. 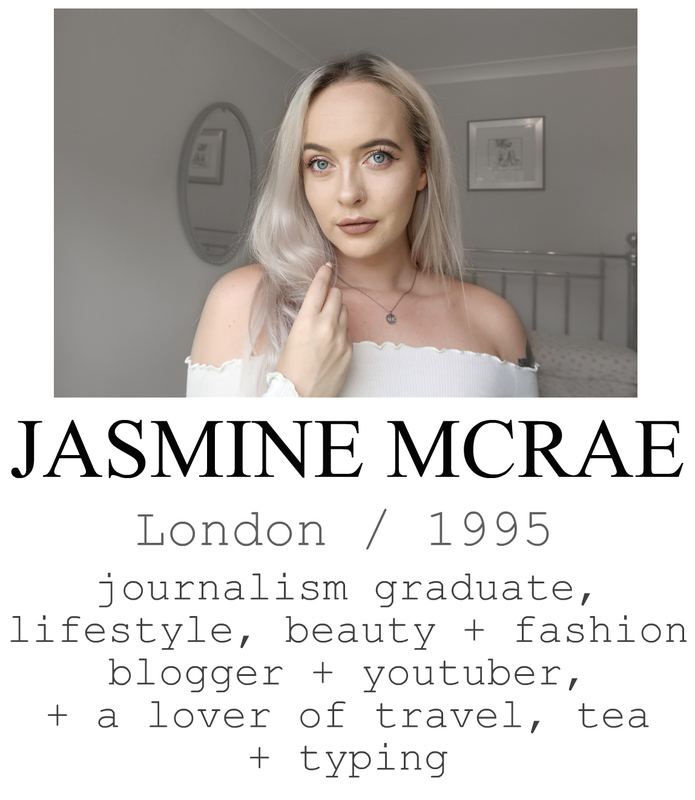 I struggled with oily skin and spots throughout my teenage years, and first discovered the Body Shop Seaweed range when I was about 18. I was excited to find a range that seemed very specifically tailored towards oil control and deep-down cleansing. The Body Shop is a really respected powerhouse in the high street beauty department, and every year, one of their gift sets is top of my Christmas list. But this mask really works. 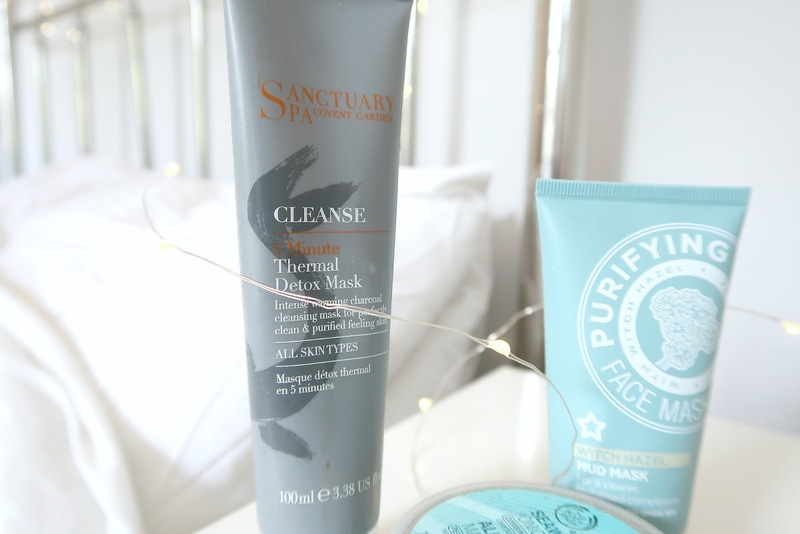 I used it in conjunction with their other Seaweed products, and don’t get me wrong, I did enjoy the foaming cleanser and the exfoliator, but the mask is the real star of the show and keeps your skin matte for days after use. Remember when Witch hazel was THE big thing in skincare? Every man and his nan was splashing on the new wonder-product that promised blemish-free skin, especially for those of us with spotty, oily adolescent skin problems. 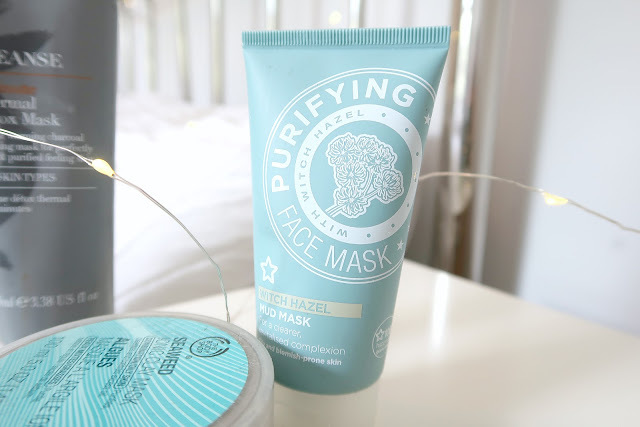 Next is Superdrug’s Purifying Witch Hazel Mud Mask, and it’s one of the cheapest multiple-use masks money can buy. It cost just £3.50 and this little tube has lasted me well over a year. Granted, I chop and change my masks up a lot, but this is one I regularly go back to if I feel like my skin needs a bit of a rehab sesh. This mask does exactly what it says on the tin, but beware! It’s one of the ones that actively draws out all the crap lurking in your pores and brings it all to the surface. I.E: don’t be surprised if you end up having a massive breakout in the days after using this one. It’s definitely a Sunday-evening mask, not a night-of-the-event mask. It can also feel a little bit harsh on the skin, especially under the eyes because the witch hazel has a very slight burn, so just be wary of this if you’re a fellow sensitive-skinned person. There are a massive range of these masks on Superdrug’s shelves, and I really can’t argue with the price. Lastly is Sanctuary Spa Covent Garden’s offering; the 5 Minute Thermal Detox Mask. This mask is just as much of a novelty as it is a very luxurious and relaxing skincare product. I purchased this from Boots over a year ago as part of a 3 for 2 offer (praise the lord for Boots 3 for 2s!) And I’m 99% sure this was the free item. Otherwise, it’s a tenner, and with it being quite a large 75ml tube, I’m not offended by that price point. I loooove using this because it noticeably heats up on your face as you smooth it on, and stays warm for a couple of minutes. It contains charcoal, which has purifying qualities and this mask leaves the skin feeling quite matte and soft. However, my real love for this mask is for the heating properties, and how relaxing and very very fancy a heated mask feels as part of a pamper evening. What say you? What are your favourite high-street masks? I must admit, in the time since I took these pictures and actually wrote this blog post, I may or may not have acquired about 4 more high-street masks that I’m falling in love with. The same goes for a couple of high-end options. So this might be shaping up to be a multiple-part series that’ll serve only to out me as the world’s biggest goo-hoarder. Let me know what you think of my picks! 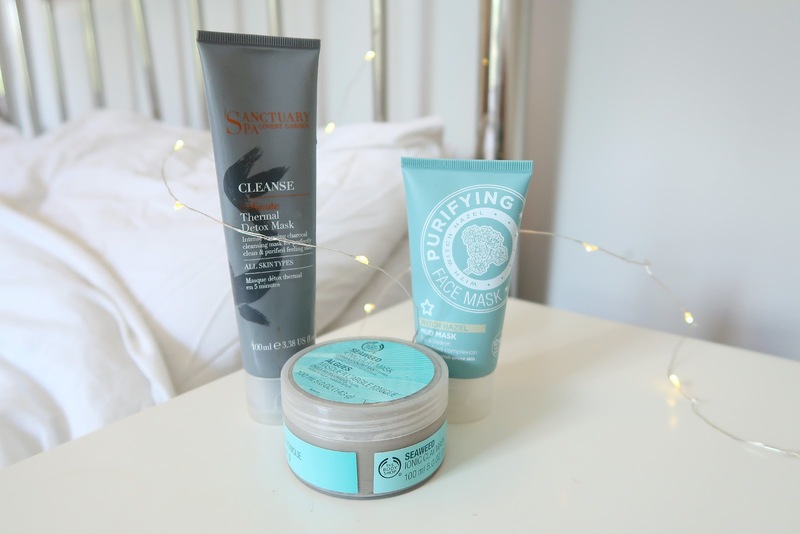 These are all great options for those of us who are just starting with serious skincare, or those of us who can’t justify spending a week’s wages on one beauty product. How I wish I was one of those people!